The word legend is thrown around way too often in the realm of sports. 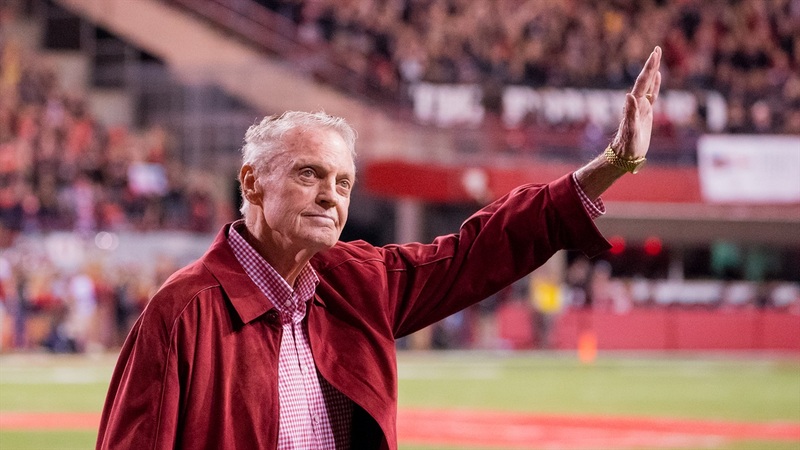 But in the case of former Nebraska head football coach Tom Osborne, there’s little doubt that such praise is fitting and well deserved. An abridged list of his mind-boggling accomplishments on the field include three national championships, 13 conference titles, his 255-49-3 overall record, and his induction into the College Football Hall of Fame. Surprisingly, it took Osborne 22 years to win that first national championship. There were a few close calls earlier in his career (most notably in 1982), but it wasn’t until 1994 when an undefeated season finally added that one missing piece of hardware to the trophy case. Then in 1995, Osborne led what some have called the greatest college football team ever. With another undefeated season and national championship on the line, the stoic Midwestern gentleman stood before his team in the locker room at Sun Devil Stadium in Tempe, Arizona. His speech, as usual, wasn’t very long and it wasn’t overly impassioned. But it was powerful nonetheless. From the opening kickoff until the sound of the final horn, there was no hint of fear in his confident and capable team. Considered one of the most dominant championship games in college football history, Nebraska finished strong with a 62-24 victory over the second-ranked Florida Gators in the Fiesta Bowl. Even after a tight first quarter in which the Cornhuskers trailed 10-6, the team’s discipline was evident amid a 29-point second quarter that all but secured the win. When asked to reflect on his illustrious career, Osborne has shied away from highlighting the obvious moments like that inspired championship run. Instead, he has looked somewhere else for a more accurate barometer of his legacy. In 2012, Coach Osborne was honored at Nebraska’s final home game ahead of his retirement as the university’s athletic director. His son Mike had two t-shirts made for the occasion. Both featured an iconic image of Coach Osborne on the front. One shirt was black and said “Nebraska’s Native Son” on the back while listing his major accomplishments. The other shirt was red and said “Legend, Coach, Congressman, Athletic Director and Mentor” on the back. Mike also wanted to put his dad’s favorite verse on both shirts as well. When asked what the verse might be, Osborne’s former players would not have been surprised to hear their beloved coach once again quote 2 Timothy 1:7. Dear Lord, help us to life our life to the values that we find as we read Your Word. Give us the strength each day to live for You. N the Name of Jesus, Amen.